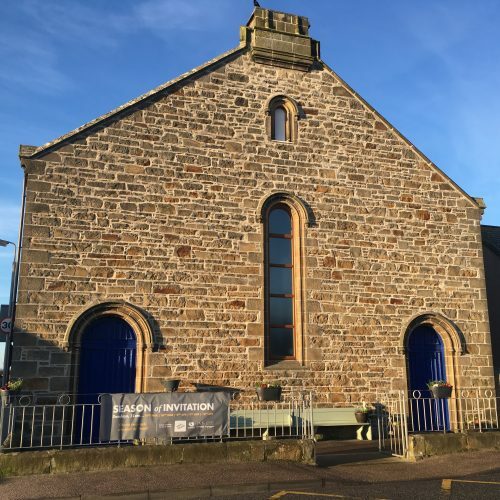 MBW attended church yesterday but afore you think MBW is taking a new religious path, we were in church for our May meeting to network and hear about the Moray Food Bank from staff and volunteers. And of course there was food – wholesome and healthy soup and sandwiches and an abundance of delicious home bakes including tablet – a personal favourite! Burghead Free Church proved a warm (yes really) and fitting venue. 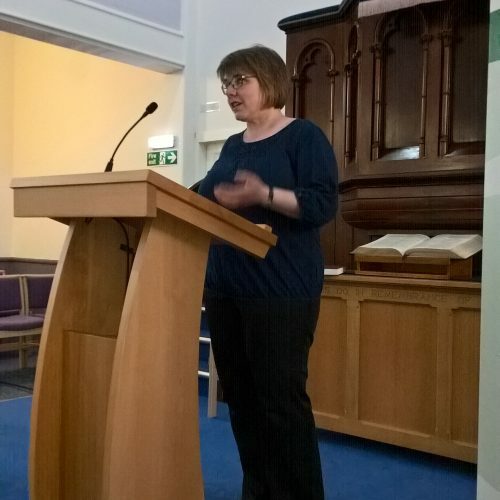 Peter Turnbull from the church explained that it has recently been refurbished to reclaim its place in the heart of the community, and they were therefore delighted to host the evening which had the community at its heart. The church is available for use by the community see www.burgheadfreechurch.org/. 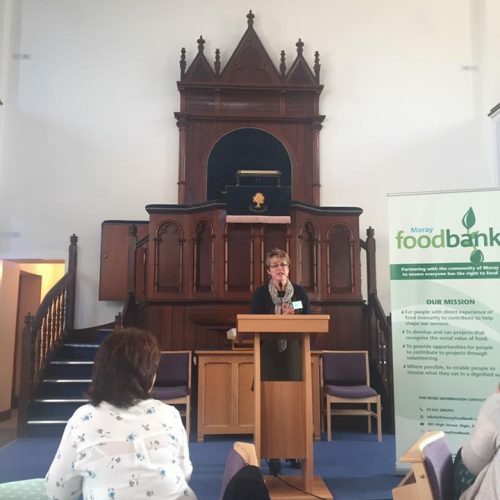 MBW President Marie, speaking from the pulpit, gave a short welcome and handed over to Mairi and her team from the Foodbank who, working like an organised tag team, explained the background, the workings, the challenges and the future for this vital Moray charity. I have to confess that other than that people donated food and it was handed out to those who require it, I was totally ignorant of how the scheme works so this was a real education for me. Put simply, people are referred to the charity, usually through Moray Council social services, and where required appropriate food parcels are put together to provide meals to the recipient for up to three days. The parcels are carefully selected to take into account people’s circumstances – for example if they are in b&b accommodation perhaps they have no cooker/fridge. People find themselves in need for a variety of reasons – perhaps victims of domestic abuse where they have had to flee violent homes with no money or paperwork and this supports them whilst they get their benefits in order or there are delays in receiving benefits due to changes of address etc. New projects including trialing larder schemes where appropriate eg in homeless units where food is taken to a larder giving the recipient a choice and control over their own decisions, initial results show that this led to more social interaction (cooking in groups) and less waste. They are also working closely with most of the Moray supermarkets on large donations but also to manage donations of staples such as bread, milk, fruit and vegetables which are difficult to keep fresh. Another new initiative is to look at cookery classes and education to teach people how to cook on a budget. 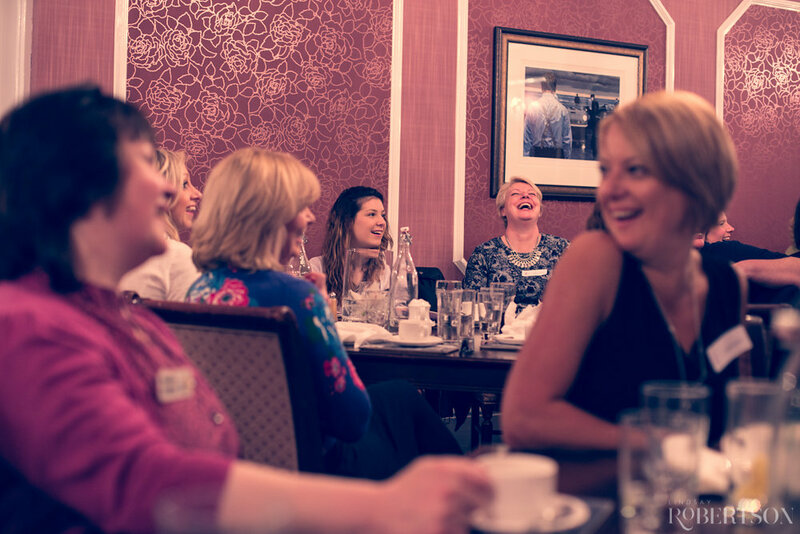 The charity relies on volunteers, many of whom joined us at our dinner tables, who come from a variety of backgrounds and had a variety of roles whether putting together parcels or delivering food but they all had one thing in common which was enthusiasm and a willingness to help others. 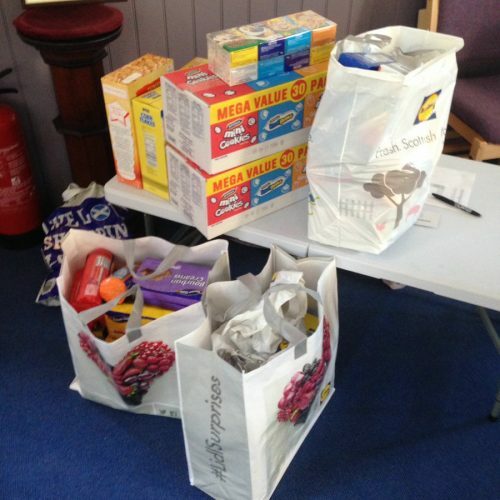 One volunteer summed it up by saying that she joined the Foodbank to give something back to the community but in working with the team, helping the community and learning new skills, volunteering had given a lot more back to her. I do enjoy MBW events where I learn something. So in my opinion this was a great night where I was well fed, met some new people as well as caught up with MBW members. 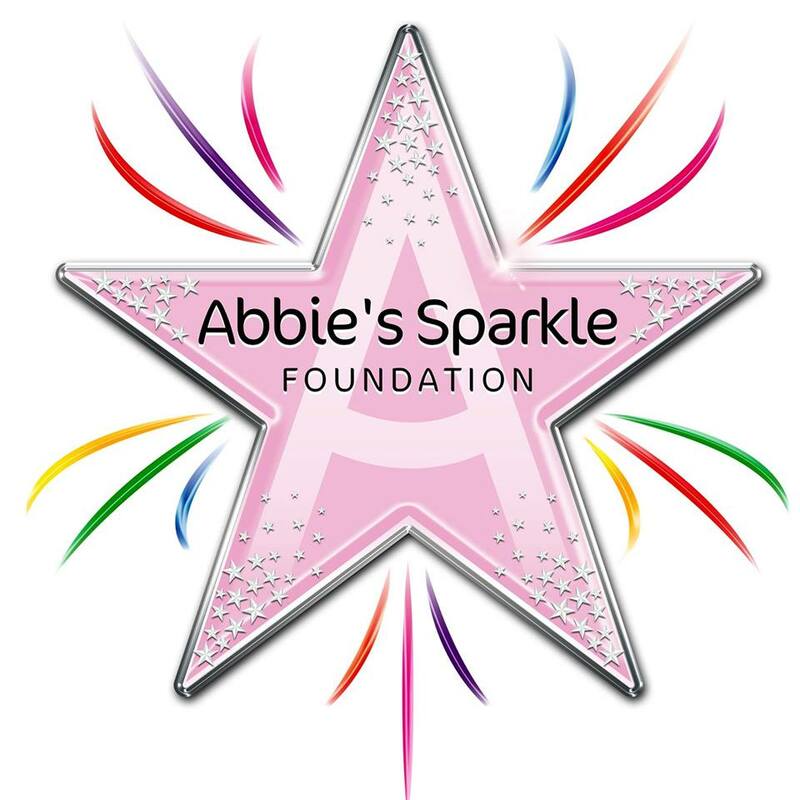 I learned a lot about our 2017 Charity, felt humbled by all the good work going on and whilst I am extremely fortunate that I have not found myself in circumstances where I have had to suffer such dire straits I am glad that such a facility exists for those who do. Our guest blogger was MBW member Dawn McNiven from www.dmdotpr.co.uk. Thank you Dawn. 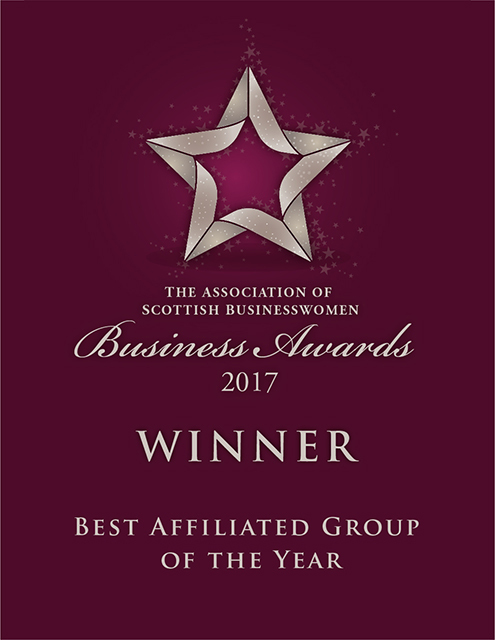 Thanks also to Kathryn at Moray Sports Centre and Kirsty Watson of Watson Wood Financial Planning for capturing the event in images.